Set realistic expectations. Clearly communicate the team’s goals, the individual members’ roles, and the reason for the team’s existence. Build strong leadership. Leaders who are flexible, supportive, and focus on relationships as well as tasks, will produce great results. Create an environment of trust. Respect and integrity are essential to building trust among all team members. Support a community spirit. Opportunities for team members to socialize informally outside work will foster a cohesive “family” feeling. Invest in team members’ skills and expertise. Continuing education supports continuous improvement and makes team members feel valued and valuable. Knowledgeable teams are more productive. Invest in collaborative technology. Streamlined communications support all of the team-building tips above. Collaborative technology can be electronic devices or specialized software. It can also be adaptive office furniture that facilitates face-to-face interactions, while allowing for a quick change to individual task execution. 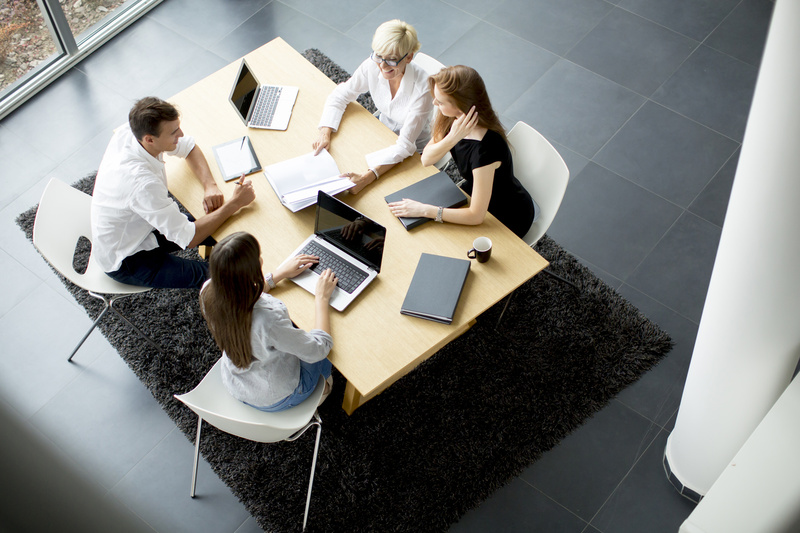 Whatever form it takes, collaborative technology is vital to a smoothly functioning team. If you’re adopting a collaborative management style in your business, talk to a design expert about finding the right collaborative technology for your business.